Notes of dried fruit and almonds on the nose. 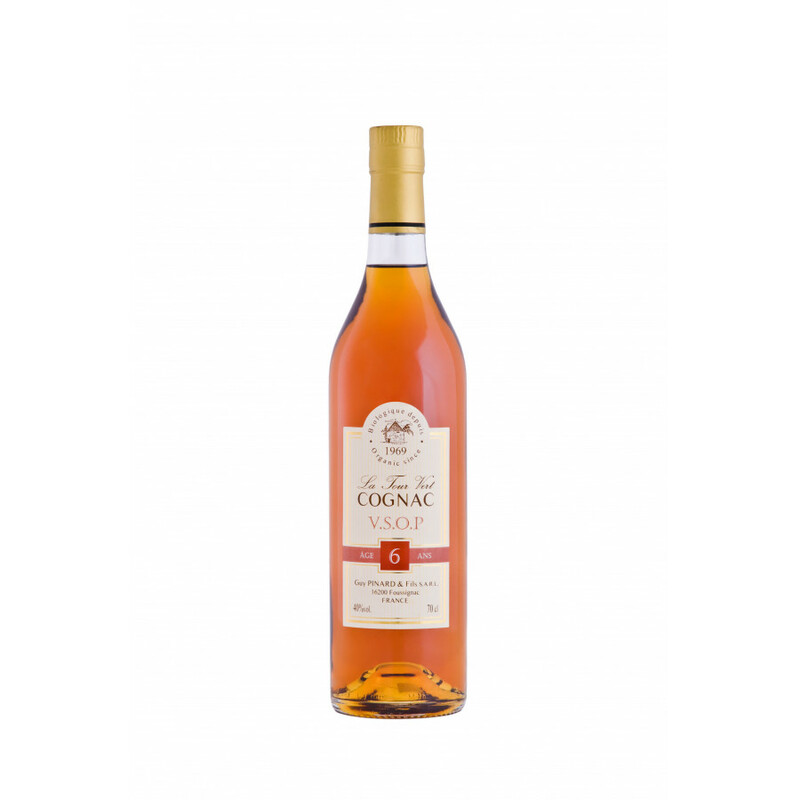 On the palate there is a good balance between the cognac and the wood tannins from its years in oak casks. Smooth and round, it just melts in the mouth. 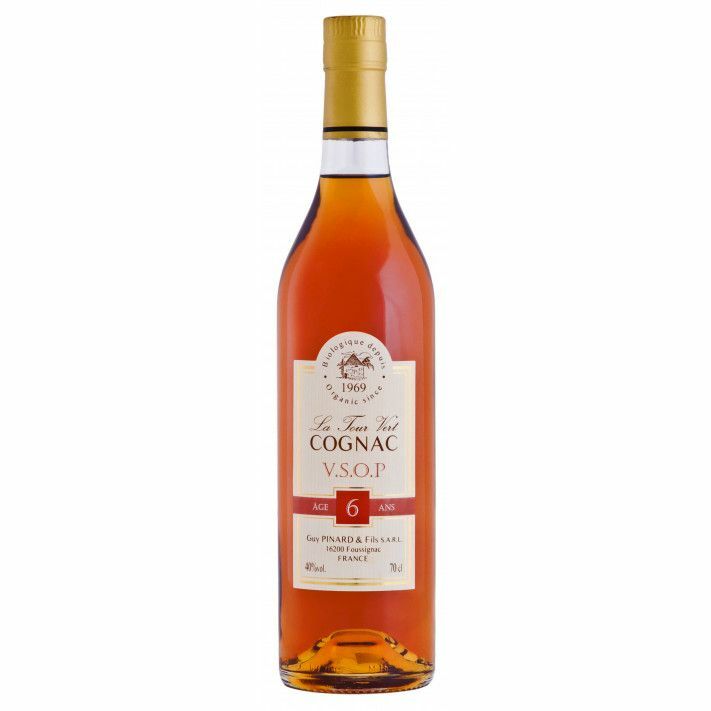 The Guy Pinard VSOP 6 Year Old Cognac has, as it's name gives away, is made up of components that have been aged in oak barrels for six years. It's a delightful, sparkling amber color, and is produced in a completely organic manner without the use of any chemicals or pesticides. It's a delightful cognac - and very complex for its age. Enjoy dominant aromas of walnuts, almonds, and hazelnuts. Guy Pinard recommend that you drink it neat, at a temperature of around 25 ° C. Or for a delicious change, try over ice or even with soda water or tonic. it's also a great component to use in cocktails. All in all, a truly versatile cognac.